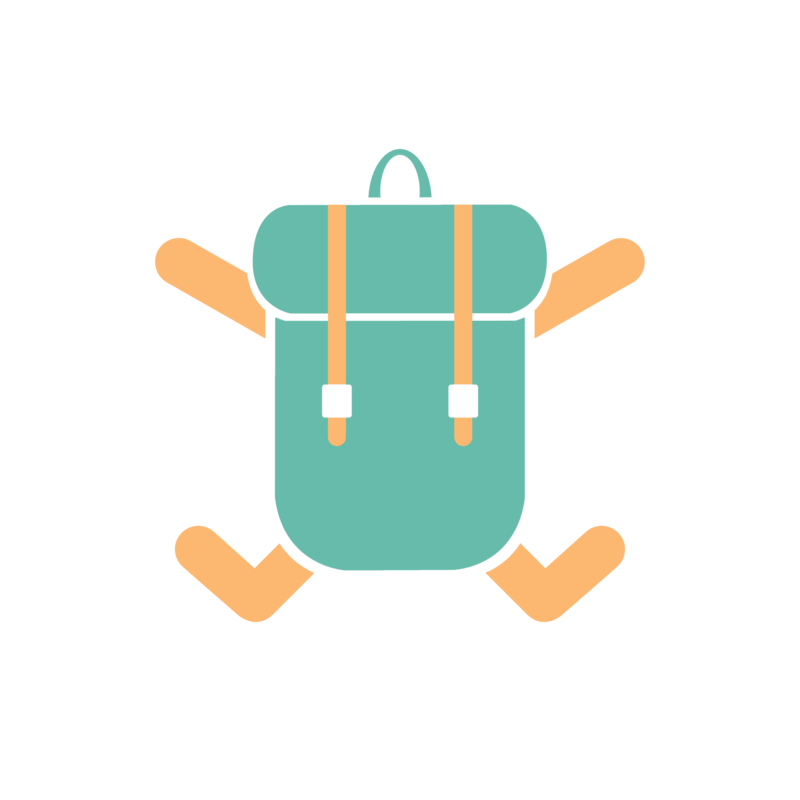 As a college student who wishes to travel the world on the least possible budget, finding a cheap and comfortable accommodation proved to be the most difficult thing to do. I usually like to stay in hostels, as they are easy to find, and it is a pure economic transactional kind of relationship. Airbnb provides a more homely feel, but is difficult to find as you would have to face with many rejections before finally finding one where the host accepts you. Airbnb is less an economic transaction, and more a social exchange, because the hosts’ friendliness and ‘services’ (recommendations for places to visit, providing breakfasts, etc.) are important factors that make your stay a pleasant one. When it comes to Couchsurfing, it is purely a social exchange. You don’t pay the hosts for the accommodation, yet you (kind of) expect the host to provide you with information about the local environment, things to do, and so on. So how do you exactly return the offer by the hosts? Perhaps prepare a small gift or something? It didn’t take me much consideration to list myself up on Couchsurf and check out the community. I was surprised that the website looked clean and user-friendly. I thought it would be a messy community, since people just offer places to sleep around… After creating an account and exploring the website, it feels very much like an Airbnb, without the price element. 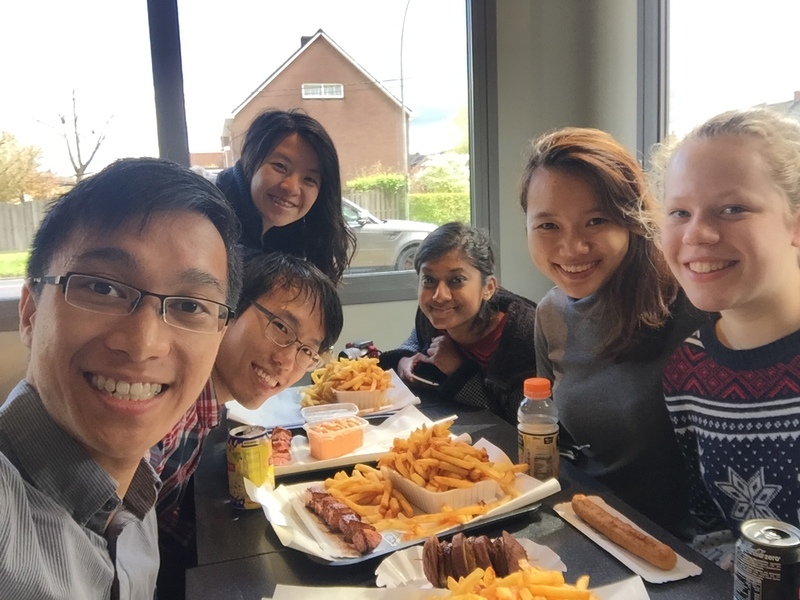 I started to look for potential couchsurfers who can host me in my upcoming trip, and posted a public trip myself. 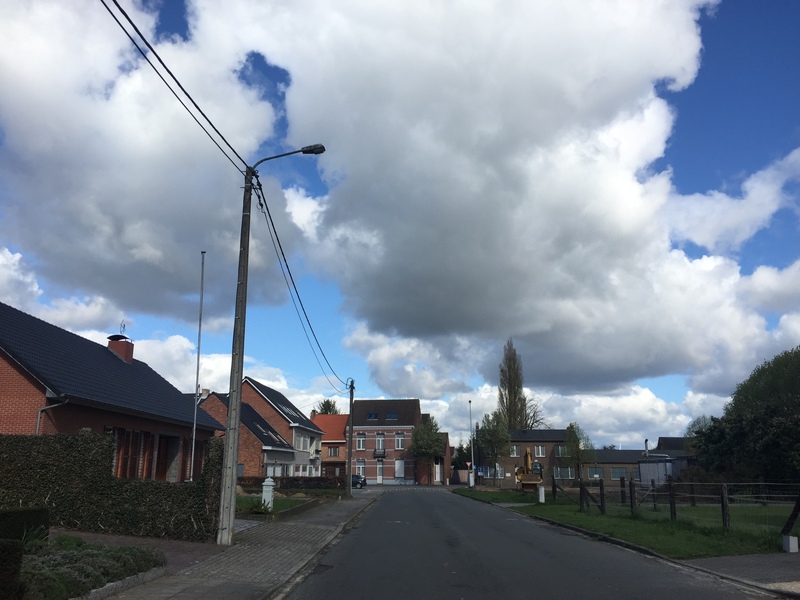 I wanted someone in Geel to show me around the town where psychiatric patient care is exemplary for the world. 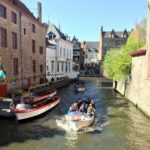 I first came across Geel in an article that was trending on Facebook and decided that I would want to make a trip there myself and speak to the people. 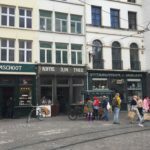 I found Rebecca on couchsurf, and sent her a pretty long introductory post about myself and my intention for visiting Geel. After waiting for a few days, Rebecca replied positively about hosting me, and even offered to help me arrange an interview with a family that does foster care for psychiatric patients! After weeks of messages to and fro, we finally settled that Rebecca will host 4 of us (yea, three of my friends who were very interested about how the psychiatric patient care worked in Geel also tagged along) in her house, and she had arranged for two of us to visit a family for a short interview. On the first night, I finally met Rebecca in person and we had a chat in her living room. I’m still feeling amazed how there are such friendly people who would receive strangers with open arms into their homes, their private space, and being so nice to them. 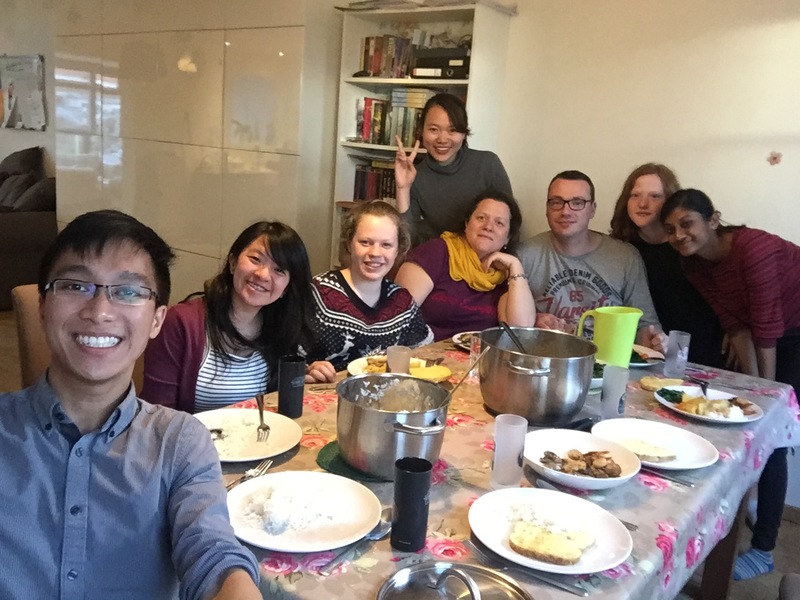 One thing which struck me most was that Rebecca joined couchsurf as she wanted her children to be exposed to different cultures through the people that she hosts at home. It was surprising, at first, that her two daughters were interested to know us, and they sat with us on the couch as we engage in conversation with Rebecca. 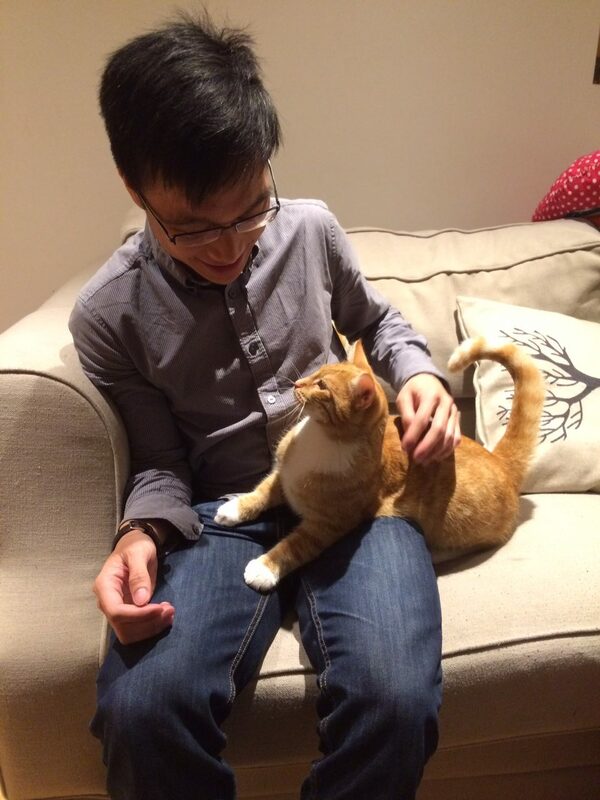 That night, my friends and I got to know not only Rebecca, but also the whole of her family – including two cute cats! The next morning, Rebecca brought my friend and I to a family nearby that does foster care for psychiatric patients. In particular, the family was taking care of two elderly (aged 80 and 85), diagnosed with dementia and down-syndrome. Vivian has been doing foster family care for 24 years, and she shared that it was an enjoyable thing for her to help people, and that’s why she does what she does. I can feel Vivian’s dedication towards her “guests” (the term used to call the “patients” living in foster families) in her house, through her sharing of experiences with us. She treats her guests like family members, showering them with the same love and care she gives to her children. The guests call her “mama”, even though they were of older age than her; they are also free to move around the house by themselves, and are not restricted physically at all. Foster families are paid €600 a month per guest living in their home, as rental for the rooms, which is sufficient to cover all living expenses. While there was no training given to foster families on how to care for their guests, there were frequent visits by nurses to the homes and careful hand-holding in the first few weeks of the foster family care. Legally, to practise foster family care, the main caregiver cannot work at all. In recent years, the law has relaxed to allow the caregiver to work part-time, but not full-time, so that the guests would still receive sufficient attention from the caregiver. 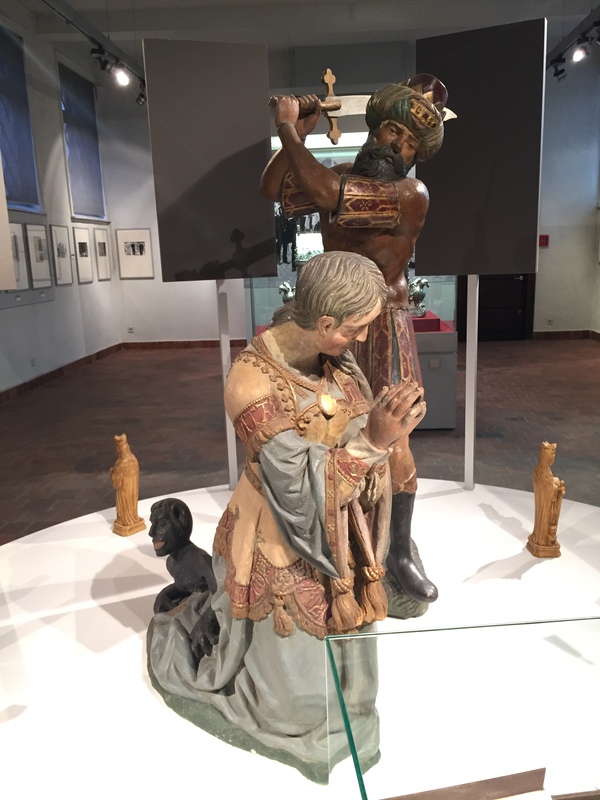 After the family visit, Rebecca’s eldest daughter, Natalie, brought my friends and I out on a bike tour to Westerlo for awesome local fries and good icecream, and also the nearby abbey that houses the replica of Michangelo’s “The Last Supper”. It was unfortunate that the weather was really bad for us, as if making a fool of us, through the whole day. Whenever we are out cycling, it either rained or hailed, making us drenched and cold. 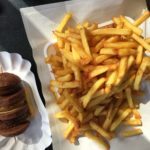 When we are indoors, such as having our fries or icecream, the weather turned for the better and became sunny. Nevertheless, it was a nice day spent, exploring the town! The story of Dymphna, whose father – the King – lost his senses and beheaded his daughter when Dymphna refuses to be the King’s new wife. Rebecca fetched us to the hospital museum in Geel, and we arrived there just 45 minutes before closing time (they close at 5pm). We paid for the entrance tickets, got the audio guide, and quickly went through the exhibits to learn more about the history of Geel and its reputation for psychiatric patient care. The museum was the actual hospital grounds; through the exhibits, we were transported back in time. After the quick visit to the museum, we returned home and started cooking for the family! On our menu, my friends and I decided to cook a curry chicken dish with potatoes and carrots. It took us a bit over an hour to get everything done, and the family was so excited when I said that “food is ready!” On the dinner table, we played “Chinese whispers”, first with English, and then we added other languages just to see how the message gets transmitted =P I admit that I’m the weakest link of them all. I had a really good laugh with the family. 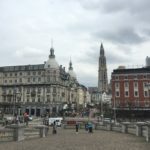 I was offered two nights stay in Brussels by Louis, who lived in the Ixelles neighbourhood, just 15 minutes walk from the city centre of Brussels. I was happy and surprised when Louis offered his place – again – because I was shown that couchsurfers are gracious and nice people who welcomed strangers. It was very easy to make arrangements with Louis, even though our messages were intermittent and made only when necessary. In the end I decided to stay in Brussels only for a night, as friends said that there were nothing much to see and do in the city. Louis is, as mentioned in his couchsurf profile, a fellow Singaporean. I was also delighted to know that he was from NUS, and tried to establish common grounds on our chat in couchsurf – to no avail. 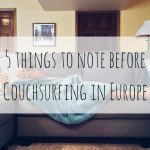 Before meeting him, I was wondering what kind of person he is and if I am in good hands – my first first solo couchsurf experience. When my friends left me for their own hostel stay in Brussels, I was waiting by myself for Louis to be free so that I can meet him and return to his place for the night. We had planned to chill around in the city centre, but I was too tired by then and Louis was fine with us returning home. 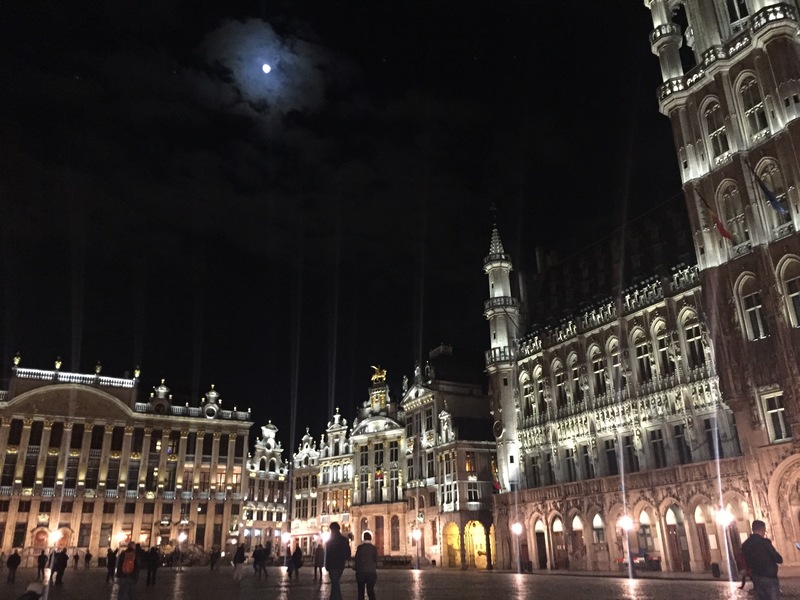 The Grand Place, at night, in Brussels. The short walk back to his home was filled with very interesting conversations with Louis as we got to know each other a little better. I took this opportunity to drill some questions, unobtrusively, towards a Singaporean who is living and working abroad. I’m pretty amazed with the nature of Louis’ job – something very unconventional, suitable for the adrenaline-junkie like him. Louis also shared that he has not returned to Singapore for two years already, but his heart is ultimately still with Singapore, and he wishes to return home someday. Even before we enter his place, Louis kept emphasizing for me to make myself feel at home. That felt very comforting and I started to like him as a friend already. His home was indeed nicely furnished and felt very homely, and the couch was just nice for me (if I were any taller, it would become uncomfortable). We both took turns to wash up, and talked a little more, before he gave me some space to myself as he retreated to do work in his bedroom – I appreciated that a lot, as I was really tired then and had wanted to sleep! That marked the end of my very short encounter with Louis, as I slept through the night and did not wake up until after he left home for work. Yes, he left me with his spare keys and told me to “stay as long as you like”. What kind of trust he has in a stranger to take care of his place?! I was, again, amazed by how comfortable he was with leaving me to his home without keeping an eye on me, and I appreciated that a lot. Hello Louise! Yea it was a good experience and I believe you will try it someday, being a traveler yourself! I’m sure you will get to meet really nice people out there too! Cheers!